I love Toronto and everything it has to offer. Moving from Pakistan about three years ago was challenging but living downtown has allowed me to never feel alone or bored. Every day and every area feels like a new adventure. This series will focus on 5 of my favourite features of a Toronto area. Today I’ll be covering the quaint and ever colourful Leslieville. It feels like a charming little town (very Stars Hollow-esque) where everyone knows everyone. I’ll be sharing my favourite independent stores, brunch spots, café stops, best photo locations and one unique aspect of that area. Here we go! First up is Good Neighbour, as the name suggested, always welcoming and super helpful, this store is actually situated in a house. “Housing” numerous artists local and international, this amazing store is your one-stop shop for needs and wants. They offer clothing (kids included), home décor, stationery and my favourite – jewelry. 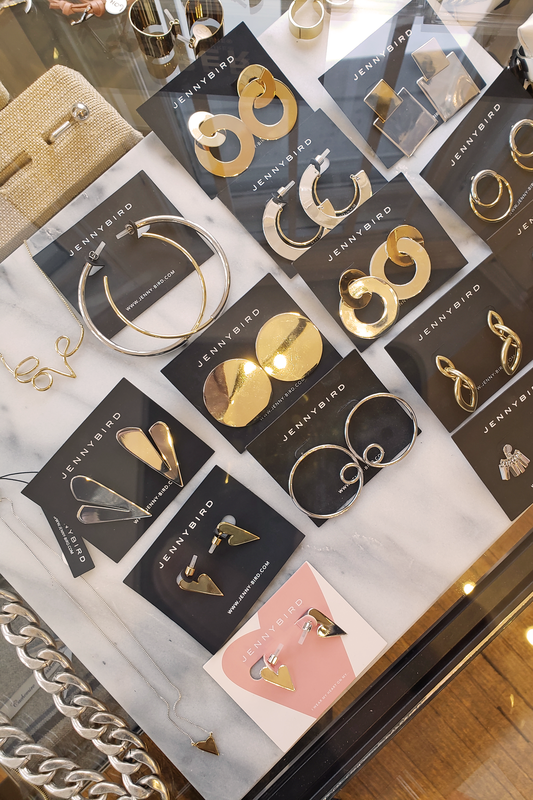 They stock two of my favourite Canadian jewelry brands – Jenny Bird and Biko. As well as, a number of other popular brands like Hershel and Swell. What’s great is that they offer pieces of every price point – making it a great spot for gift shopping. Scout is gaining popularity at its newest location in Leslieville. This independent store is bright and inviting – from the layout to the staff. 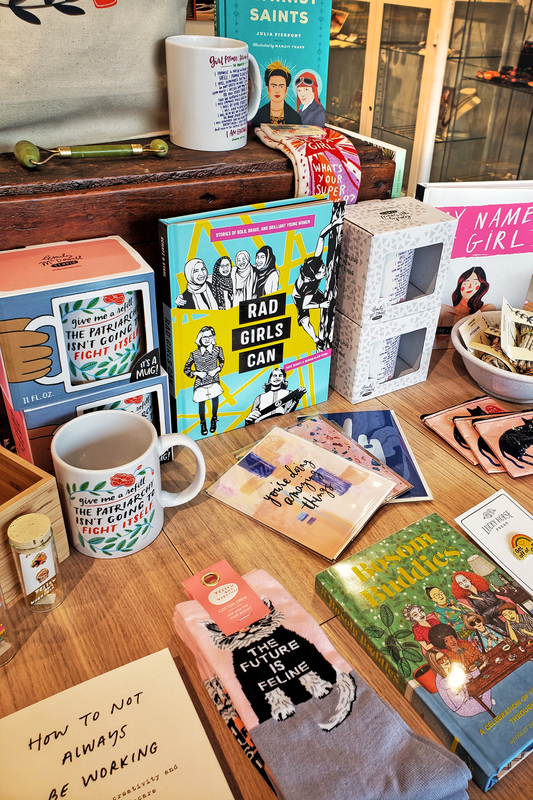 The store is sectioned well with paper products, skincare, jewelry and a whole table dedicated to boss babes. 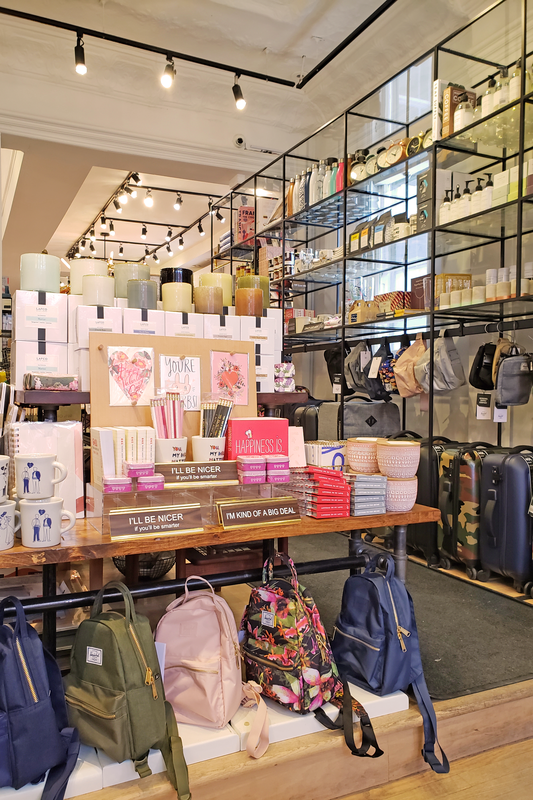 Supporting female business and female empowerment is very of-the-moment (as it should be) so, Scout does a great job of making that the focal point of the store. Some of the goodies are shown below. I’m a big supporter of shopping local and discovering new artists which align with Scout’s values of supporting Canadian handmade businesses. 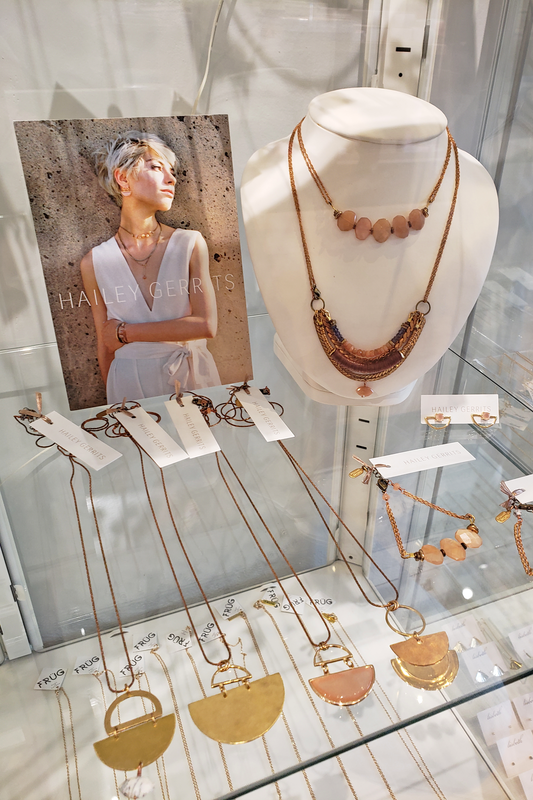 Scout showcases the work of Frug Jewellery and Hailey Gerrits. Both use brass as their base metal but have very different styles. I’m excited learn more about their craft and hopefully own a piece of my own. 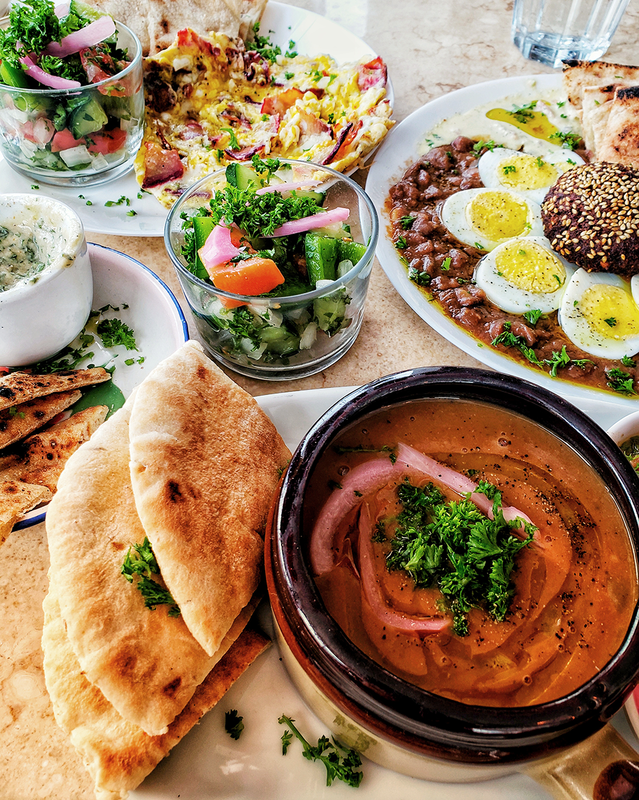 My favourite brunch spots are Maha’s Brunch (all halal) Egyptian cuisine, Lady Marmalade and YaYa. All three are family run food spots serving locally grown produce. Each has its own style and unique taste that gets people lining up outside before 8 am. Maha’s foole and babaganoug are incredible. There is so much flavour and texture – you’ll definitely be coming back for more. They even serve light traditional baklawa, which other than in Saudi Arabia, no one knows how to perfect. Carla and David’s newly renovated Lady Marmalade is heavenly! 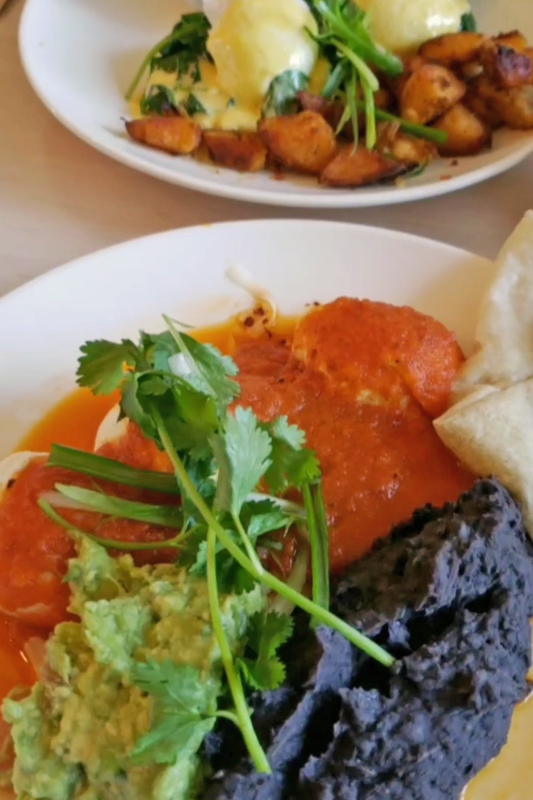 Well worth the wait, this brunch spot serves amazing eggs benny with a Mexican twist – Huevos Rancheritos. I’ve tried a lot of eggs benny from different restaurants and these are hands down the best – served with their own hot sauce concoction. You’ll be thanking me! I discovered YaYa when I was actually making my way to Maha’s Brunch. I woke up late hence, waiting in line for 2 hours was not an option for hungry me. So Google suggested this farm grown option. A smaller lineup but packed inside made me think it will be good to try. I was pleasantly surprised with my vegan eggs benny. I’m not vegan but I enjoy the creativeness that goes into preparing a dish traditionally non-vegan. 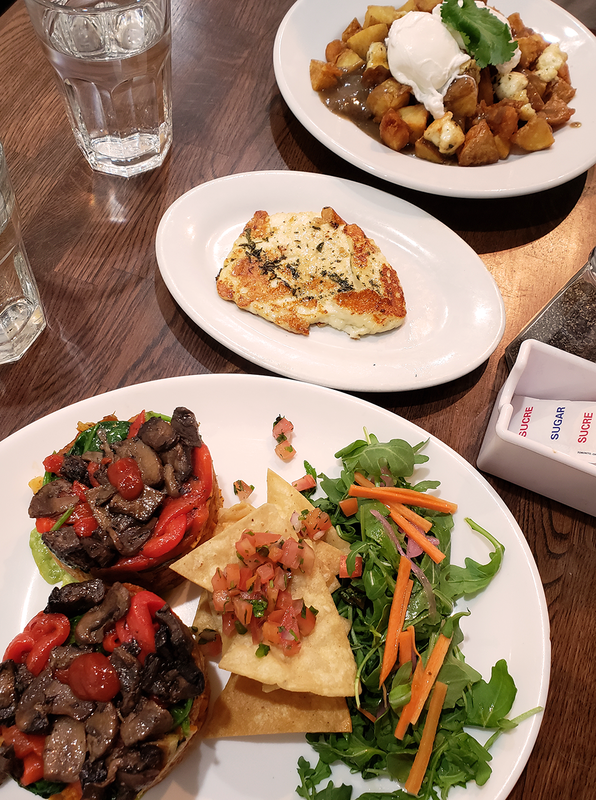 The taste was exceptional and I added a side of grilled halloumi – this girl loves her salty cheese! For more brunch goodness, check out my Insta Stories highlight. 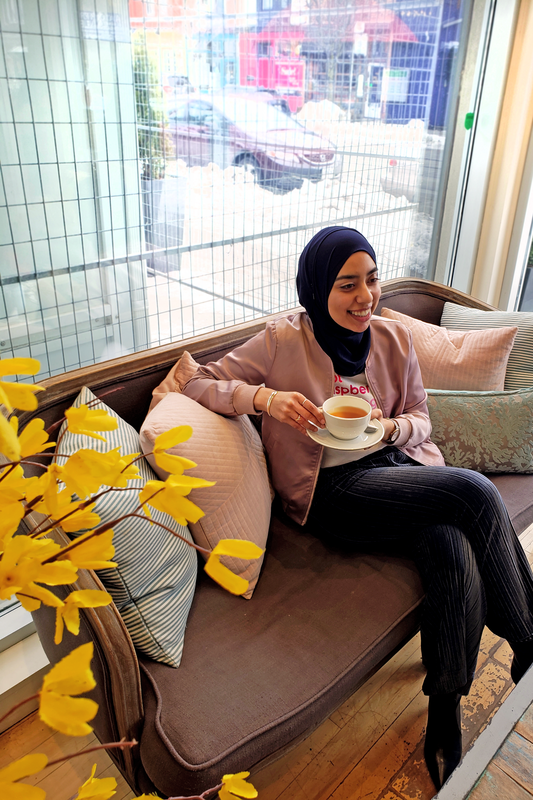 I’ve recently developed a taste for hot teas and Bobette & Belle is the perfect backdrop for afternoon tea with my blogger gals. 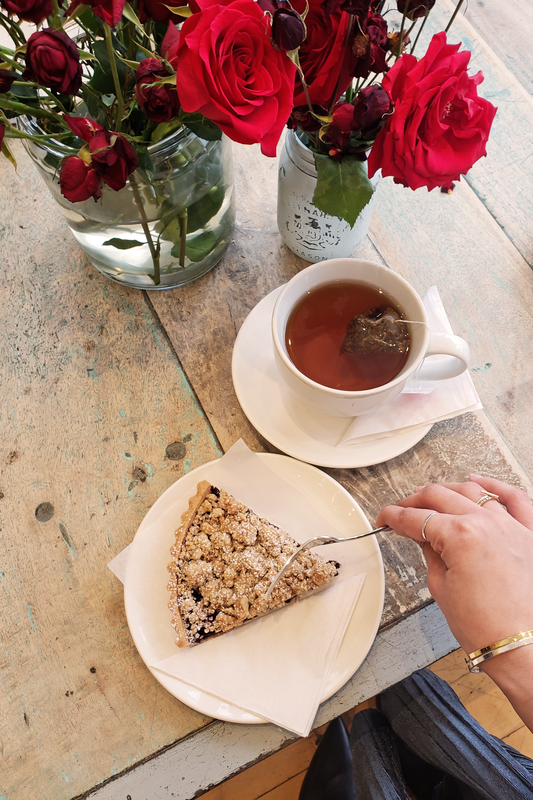 The Leslieville location is relaxed yet elegant. Serving up a delicious array of baked goodies and hot drinks. 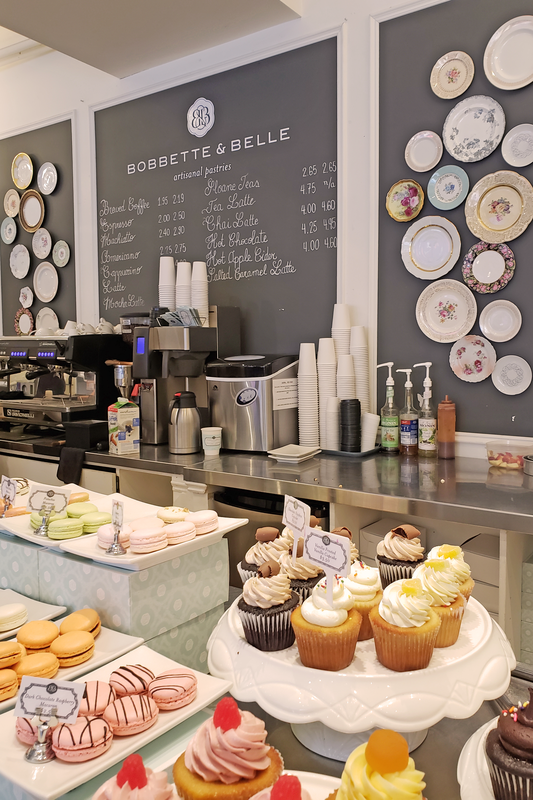 This cute cafe is the brainchild of Sarah Bell and Allyson Bobbitt – cake extraordinaire and pastry chef. Their contribution to the community comes by bringing happiness and sweetness to the people – whether it be for weddings, parties or simply some friends hanging out. What’s amazing is the location has lots of seating (a serious issue with anything in the downtown vicinity) and plenty of dessert options. They make their own cakes, macaroons, pies and coffee (I opted for Sloane Tea). The interior is absolutely insta-worthy. Grab the couch if you can! Leslieville has its iconic rainbow benches but the area also boasts cool graffiti and colourful doors. 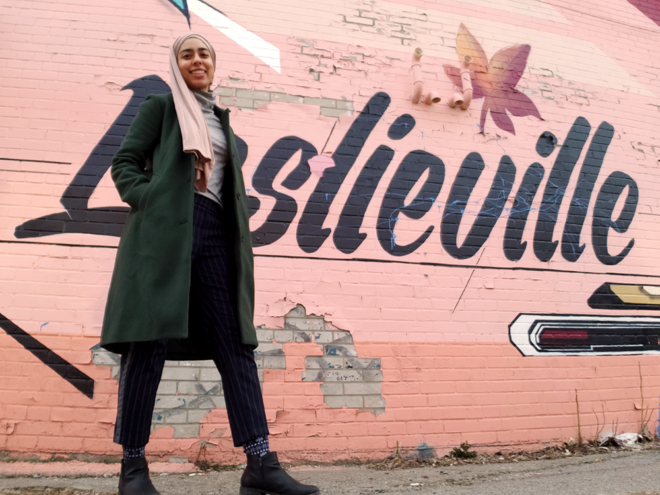 Be sure to take a photo in front of the Leslieville mural on the corner of Queen and Jones unveiled three years ago to represent the history of the area. 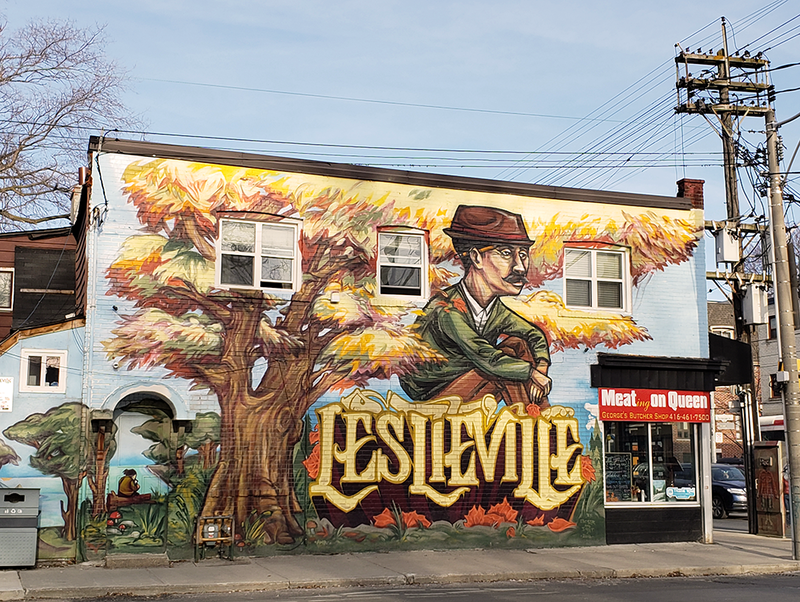 Designed and painted by renowned Toronto graffiti muralist Elicser Elliot this piece pays homage to the past, present and future of the Leslieville community, depicted by a man contemplating under a maple tree. 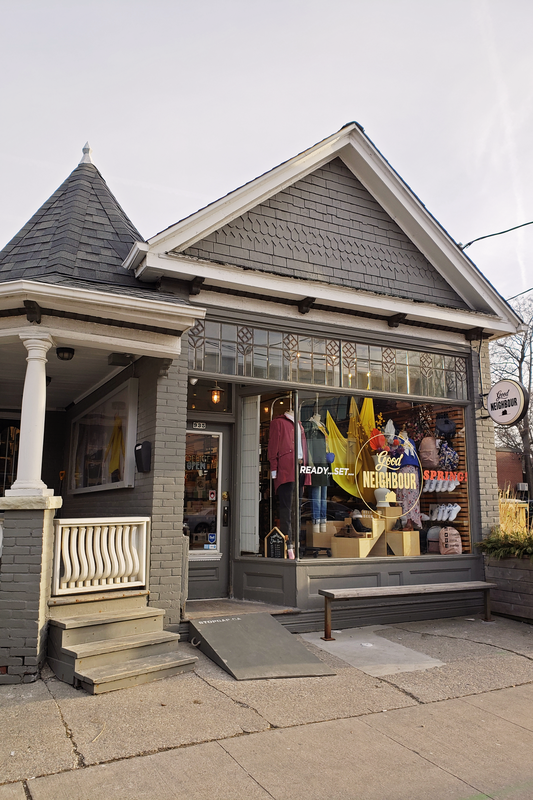 One unique aspect of Leslieville is the number of vintage and consignment stores. It’s definitely a struggle to find something pre-loved but when you score a Babaton top for $20, it’s worth it. 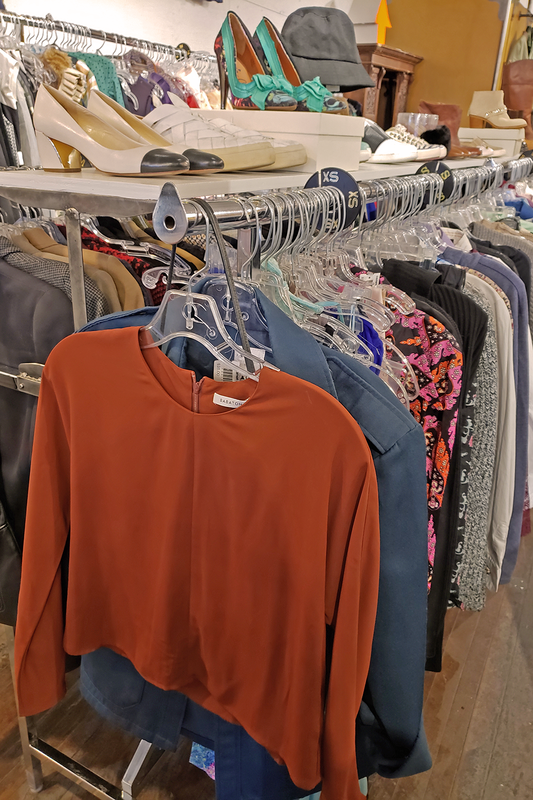 Common Sort is a great store to sell and buy pieces at. They arrange the items in sections and by size making it easier to shop or browse. If you’re looking to give your pieces a second home, drop them at any Common Sort location for review (PS. You can get 50% store credit or 25% cash on the spot). Even if you’re not comfortable with buying second hand, vintage stores do make a fun outing. Gadabout Vintage collects an enormous amount of stuff from every decade. They’ve got old maps, flapper dresses, matchboxes – you name it from the York days. Check it out or visit the almost weekly vintage sale at the Ashbridge Estate. I want to keep this series of exploration going, so if there’s a Toronto area you think I should check out – lemme know in the comments.